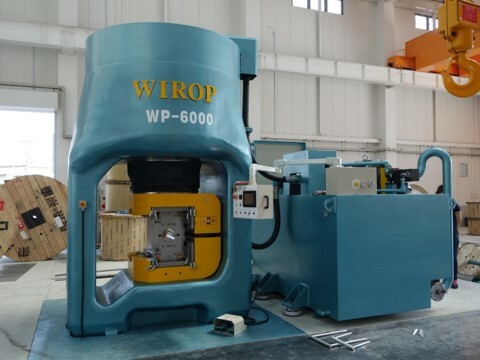 The largest wire rope swaging machine in the world, the WP-6000 manufactured by Wirop Industrial Co., Ltd., is in commissioning in May 2017. 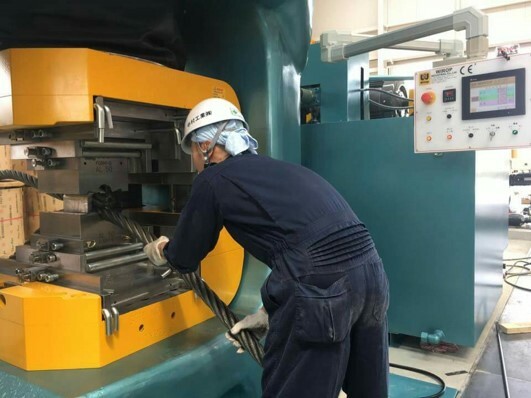 After machine commissioning and testing in Kobe, Japan, the max. pressure capacity has incredibly reached 6,112 Metric Tons (6,737 US Tons). 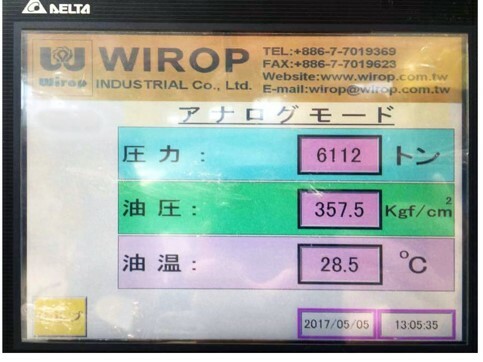 On 19 May, 2017, Mr. Ben Chiu of Wirop Industrial Co, Ltd. was invited by the purchaser to the grand opening ceremony in Kobe, Japan. 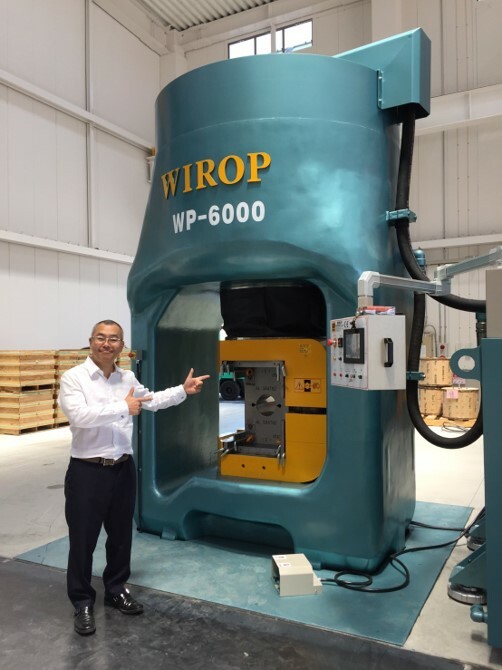 With the world’s largest wire rope swaging machine, the new facility will continuously provide the innovative services for the wire rope and structural cable industry in the future.